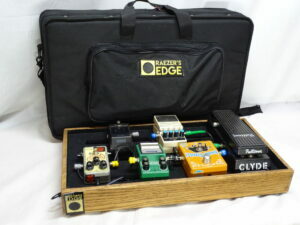 The Micro Board is our smaller sized pedal board. But still enough room to support 4-6 standard sized pedals. 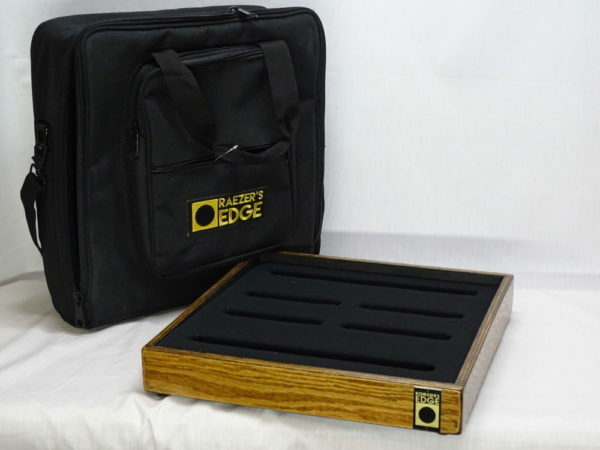 Different customizable options are available like tolex color or natural wood finish, pedal tray loop fabric color. 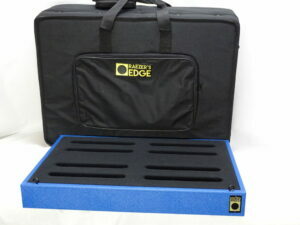 Comes with a gig bag from SKB that provides the perfect solution for protecting and transporting your pedal board from one gig to another. Simple, functional and unmistakeable.